University USAS chapter hosted a workshop to encourage students to use their power to create change. 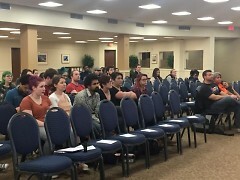 Since many people believe they alone cannot make a difference in the world, Grand Valley State University's United Students Against Sweatshops (USAS) organization hosted the workshop, "Students and the Fight For Justice" to show students that they each have the ability to create change. The workshop began with a presentation focusing on university spending and potential problems with how money is being allocated by these institutions, led by Elizabeth Parisian, a member of Hedge Clippers. Hedge Clippers is a coalition of community groups and labor organizations that work together to expose the ways they see hedge funds and billionaires influencing the government, driving inequality within the country and causing destruction to the economy and communities, according to Parisian. Throughout the presentation Parisian explained potential dangers of universities investing endowment money in hedge funds, which are a type of alternative investment to stocks or bonds that allow people to invest their money with the goal of receiving large returns based on high risk. 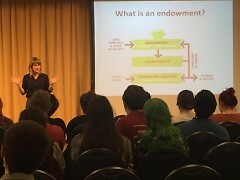 In general, she pointed to the main problem with public universities investing money into hedge funds as a lack of transparency about the fiscal transactions and overall health of these funds compared to other publically traded companies that are required to release regular financial statements. In particular, she said there is a lack of access to information on how much money universities pay in fees for hedge funds and on what these funds spend the money on. "Follow the money. I think we need to ask questions about where our money is going and who it's going to and what they're doing with it," said Parisian. "These are kind of basic things but when we don't know the answers to those things, it impacts all of us." Parisian said that Hedge Clippers presented this discussion at the USAS national conference last year and were later contacted by students who wanted to learn more. Since then the coalition has been speaking to the stakeholders in universities, such as students and faculty, to discuss whether or not they know where their money is going, if they are concerned about the spending and to develop strategies for creating policy changes. After the presentation, GVSU's USAS members broke up into smaller workshop groups to discuss possible social justice campaigns and ways to address the concerns Parisian brought up. USAS is a national student labor organization that focuses on advocating for worker's rights, and according to Lindsey Disler, the regional organizer for USAS in the state of Michigan, fighting for these social justice campaigns and showing students that they have power are important goals of the organization. 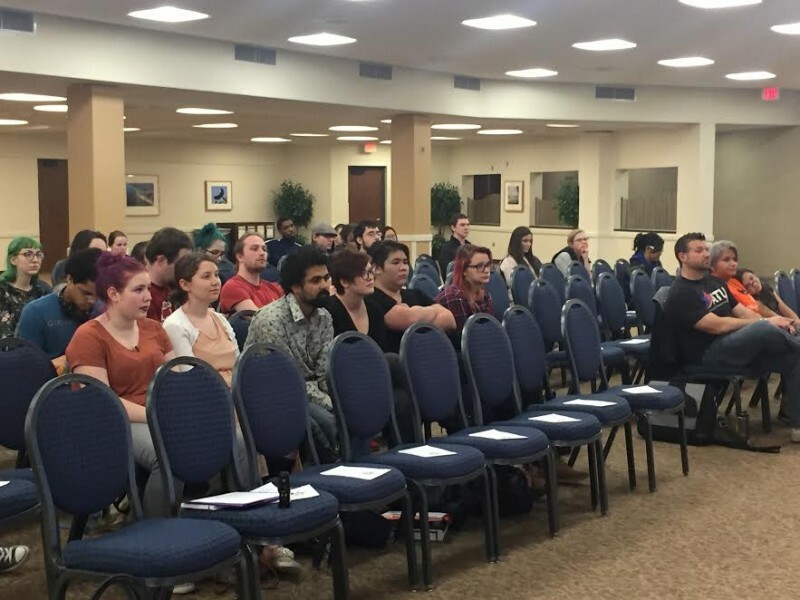 "My hope is that we see that we're connected to all these different forms of exploitation, all these different problems, because so often we're taught that you have to be elected or work within the system or that you can't do anything as a student," said Disler. According to GVSU's USAS chapter, the members will continue to discuss the topic of university spending and hedge funds at future meetings. 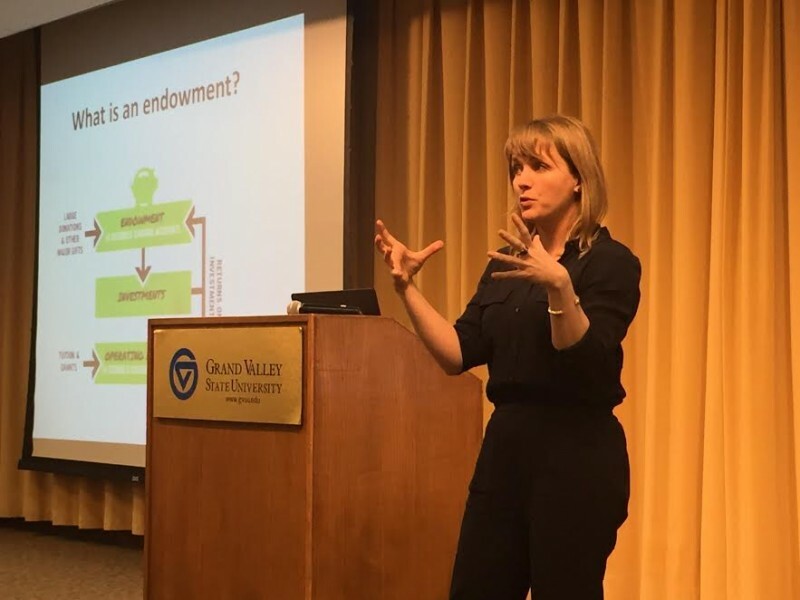 This event was held on February 22 at Kirkhof Center on the GVSU Allendale campus.